A complaint against a national press ad for Paddy Power was rejected by the Advertising Standards Authority (ASA), which ruled it was "unlikely to cause serious or widespread offence". 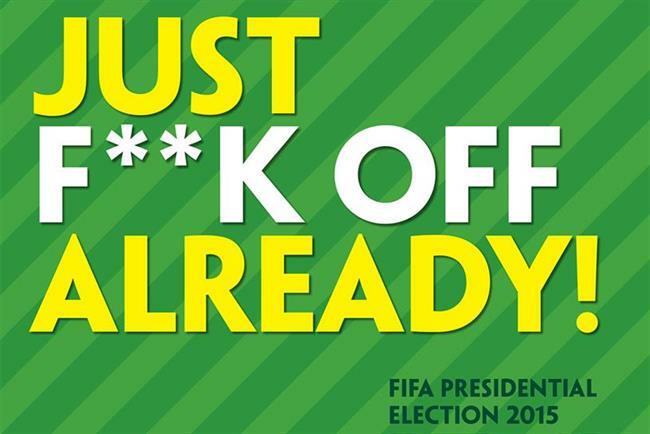 The ad, which appeared in the Sport section of The Guardian, featured odds on the candidates for the 2015 Fifa presidential election. An image showed Sepp Blatter revealing the winner by holding up a piece of paper, which said "Me". Text at the top of the ad stated, "Just F**k Off Already!" The campaign was created by RPM and Paddy Power's in-house team. A complainant challenged whether the use of the word "f**k" was likely to cause serious or widespread offence. Paddy Power said the headline of the ad was in keeping with its brand voice. It was designed to reflect the sentiment felt by football fans around the globe that Blatter should resign as Fifa president, it said. Paddy Power acknowledged that "f**k" was a reference to a word which could be deemed offensive but said it had hidden part of the word to reduce that potential. It said the light hearted and tongue-in-cheek ad had appeared in The Guardian, which was a newspaper targeted at adult readers and it believed the readership was unlikely to be offended by the word. The ASA noted that the word "f**k" was partly obscured by asterisks. In its ruling, published today, the ASA said: "We noted that the ad appeared in the Sport section of the Guardian, which we understood had an adult readership and frequently contained swear words. "We considered that readers of that section were likely to understand that the ad was intended to be a light hearted comment on the ongoing allegations of corruption within Fifa, and in particular the controversy surrounding Sepp Blatter's tenure as Fifa president. "Because we did not consider the ad would be offensive to those who were likely to see it, we concluded that it was unlikely to cause serious or widespread offence."